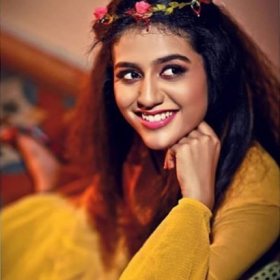 Priya Prakash Varrier looks stunning in her brand new avatar. If you are a fan of the young heartthrob Priya Prakash Varrier, then we have some terrific news in store for you. As it so happens, a pic of the teenager is creating a buzz amongst fans for all the right reasons. In it, she can be seen in a glam avatar that she carries off well. Her elegant body language gels with the look and adds a new dimension to it. Priya truly knows how to steal the show. 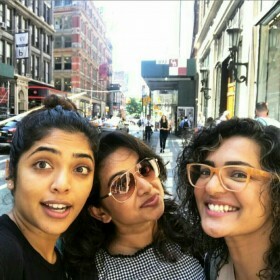 In case you were not aware, Priya became the’ national crush’ in no time because of that adorable wink in the Manikya Malaraya Poovi number from Oru Adaar Love. In fact, such was the craze surrounding the young miss that she even received romantic proposals from some over enthusiastic young fans. While talking about her instant stardom, Priya had said that it was quite an ‘overwhelming’ experience for her. Interestingly, Priya has also caught the eye of several top Tollywood producers and could enter the Telugu industry soon. 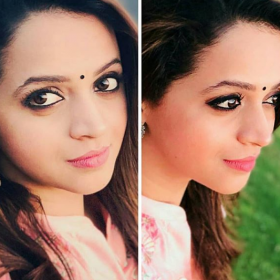 Taking about this, source had told a website that even though nothing is set in stone, several producers are keen on casting her in their films and taking advantage of her rising popularity. Did you like Priya’s new avatar? Comments, please! I thought they were comparing her to Ash. She doesn’t even resemble the girl in the clip! This picture should not have been published. She is new and need proper grooming. They could have made her wear a shape wear underneath. She is too young to have such a tummy. She is very badly styled and this is anything but glam. Work on your tummy girl.